My publisher has asked me to help source movie posters for the cover of ‘Film Freak’, specifically films mentioned in my book , and I’ve realised just how many really third-rate films I’ve seen in my life. Cheap films are just as powerful as expensive ones, of course, and I think many appeal to writers because often the first thing to go in an expensive film is a decent script. 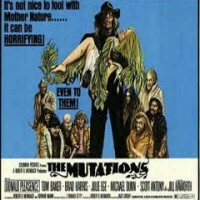 There’s a power in lurid thrills, and few come more lurid than ‘The Mutations’. 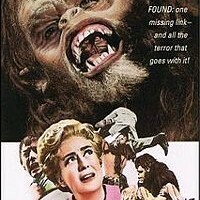 This was a ludicrously tasteless monster throwback featuring Donald Pleasance, a man-eating plant-person – half serial killer, half lettuce – and several real-life ‘freaks’ including a gentleman who could pop his eyes out on stalks by suddenly concentrating. 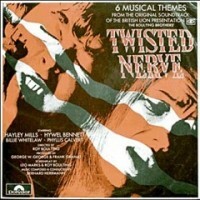 I sat through ‘Twisted Nerve’, starring baby-faced Hywel Bennett and Walt Disney’s own Pollyanna, Hayley Mills, a film which ran into such trouble for suggesting that psychopathic behaviour was genetically connected to Down’s Syndrome that the producers were forced to bolt a hilariously dramatic disclaimer onto the feature. And we saw ‘Psychomania’, with mysticism-spouting Beryl Reid and a visibly uninterested George Sanders reviving lame-looking elderly Hells’ Angels from the dead. Soon afterwards, Sanders became so uninterested that he killed himself, leaving behind a note that read ‘Dear World, I am leaving because I am bored.’ He had presumably been watching his own late film output. So many of these films are still vivid to me – Peter Walker’s deeply unsettling trilogy attacking church, state and the law, starting with ‘House of Whipcord’, now seems as if it represents the grimy, strike-ridden seventies in Britain far more clearly than any number of prestigious ‘quality’ films. 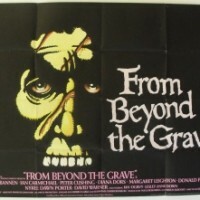 The trilogy’s unholy centrepiece is ‘Frightmare,’ loosely modelled on Ian Brady and Myra Hindley’s relationship, although this sounds like a typical piece of grandstanding by writer David McGillivray, who wrestled with the script through 1973 because he felt it lacked credibility. Oddly, the film now seems far more credible than any number of Hammers from the same period, because of the small details – the killer places ads targeting the vulnerable in Time Out. Of the ones above, ‘Barbarella’ was not a cheap movie, and yet it had cheap sensibilities, being little more than a stylish exercise in torturing a half-clad woman. 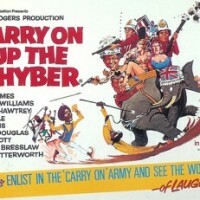 Dubbed and recut, it was released like a B-movie, on halves of double bills. While I was watching seedy little British films, Hollywood was going through its disaster movie cycle, but who now ever thinks of rewatching ‘The Towering Inferno’? There are still small British films, of course, but they tend to be gangster tales, with the odd low-budget horror thrown in, the best of these being ‘Shaun of the Dead’, ‘The Children’, ‘Kill List’ and ‘The Glass Man’, which is still in distribution limbo two years after being made. A shame, because it’s a terrific film. Also unavailable is the terrifying ‘Dr Petiot’ from 1990, starring Michel Serrault as the eponymous real-life murderer who saved lives as a doctor and helped to kill Jews. The central image of him cycling through tunnels with his black cape billowing has stayed with me – if anyone knows where this film can be found now, let me know. Loved the comment from George Sanders, can just imagine him drawling those words out. Well there is something spooky going on in the HTML or my browser, because opening in a tab to reply has made the poster images load in a different order, spooky. Films were ephemeral, not made to last, and not made to be endlessly poured over by viewers. They existed to entertain for just as long as they lasted and into the pub afterwards. To be replaced a week later with some new sensation. Filling the coffers of everybody up the chain of course. But there are as many good cheap films as bad expensive ones. And time has a wonderful habit of winnowing out the real rubbish. Every film however bad can teach us something, probably not what the maker intended, but something. Even if it is just that having large amounts of money doesn’t make anybody a artistic genius. Battlefield Earth for example. The ‘Towering Inferno’ has popped up on some school ‘media studies’ courses in the last few years. I’m not sure what it is used to teach, it’s only really a tale of mankind’s hubris and vanity, brought low by their own venality. It was an interesting period in film, probably because of the massive variation in both quality and theme. 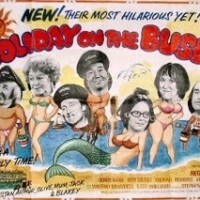 It is generally thought that it ended with ‘Airplane’ but that would be to cruelly overlook, a smaller film that set the template for the spoof disaster movie ‘The Big Bus’, which was made four years earlier. Snowy, similar spooky things going on at this end. Thought it was just my dyslexic eyes. Using Safari here. Thanks for the memories of ‘The Big Bus’ even ‘JR’ was in that one if I remember correctly. What Snowy said. Exactly that. Same here guys. I suspect it’s built into the composite poster spread that Admin copied to lead his article. Unless he built it in, which I think distant. First time it happened to me was about 7:15 AM, before my power Arabic mug of coffee. I immediatelt made up, sipped and went on; only now after dinner that I notice that Barbarella is bobbing about in particular. Hummmmm…. I dunno, you invite someone in for a coffee and all they do is moan about the curtains. Bryant and May Christmas story and where will that appear? Or do we have to root around under the Christmas tree hunting for it. Will distant readers have access? Erm, I just delivered it for something called ‘The Twelve Slays of Christmas’ – it had to be 1,000 words only. I did it while I was waiting for my macaroni cheese to cook. I’ll get back to you with details of its appearance. Posters, posters, jiggity, jig. It’s not a displeasing effect. But to return to the Docteur, it does appear on YouTube from time to time, but Universal squash it in short order. Which leaves a few options, ranging from easy, quick and illegal to the completely legit, and slightly lengthy. And for those that like to walk the line there is an option, that is merely morally dubious. I didn’t think the posters would keep on rotating but there they are, flicking around like crazy!